As Rugby Australia continues to make moves to sack player Israel Folau over his continued offensive homophobic social media posts, industrial relations experts say the Wallabies star would have a claim of unlawful dismissal based on religious discrimination if his contract is terminated. Rugby Australia has today accused Folau of bringing the game into disrepute, and given him 48 hours to show cause as to why he should not be sacked. Industrial relations expert Miles Heffernan from Discrimination Claims said terminating Folau’s contract might not be as easy as it seems. “It has the potential to get quite messy, and it will depend on the details of his contract, but certainly like all employees, Israel is protected by federal discrimination laws that allow him to hold religious views, and engage in religious activity, although those protections do not allow him to vilify gay people, which is in itself unlawful,” he said. 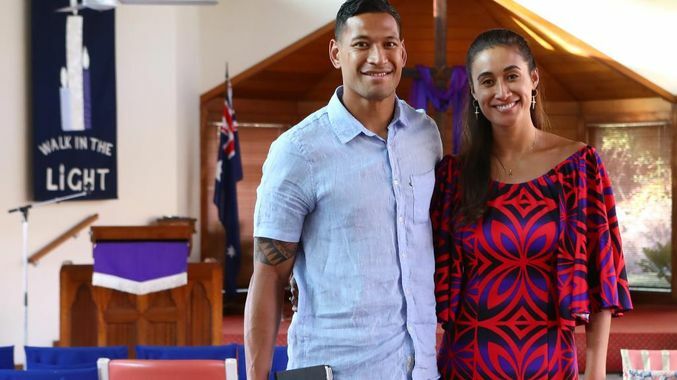 Folau made similar comments and posted other gay-hate propaganda last year, including an 11 minute video featuring a sermon by dead American evangelist David Wilkerson, who warned of “sexual perversions beyond description” as images of people holding rainbow flags appeared. At the time he was warned by Rugby Australia management to not vilify or discriminate against gay people in his tweets. Fans and sponsors have been outraged at Folau’s latest post, with major sponsor Qantas publicly condemning the comments, saying they did not “reflect the spirit of inclusion and diversity” it supports. Rugby Australia immediately announced its intent to terminate Folau’s multi-million dollar four year contract, issuing him with an official code of conduct breach notice on his contract today. He will have 48 hours to respond, before appearing before a code of conduct hearing to argue his case. It is understood that Rugby Australia is trying to make the case against Folau as watertight as possible, and is planning to argue that the Wallaby has brought the game into disrepute. Rugby Australia has said that while Folau was “entitled to his religious beliefs”, the way he had expressed them in social media posts was “inconsistent with the values of the sport”. 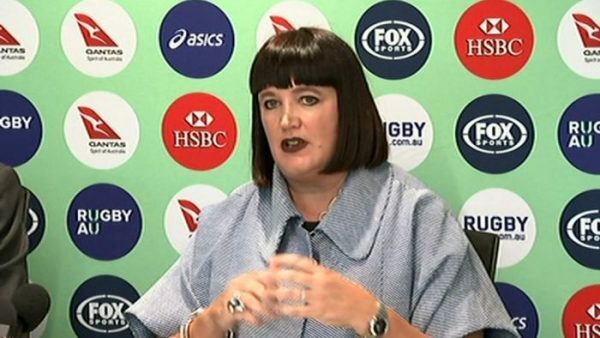 Raelene Castle – CEO of Rugby Australia moving to sack Israel Folau. 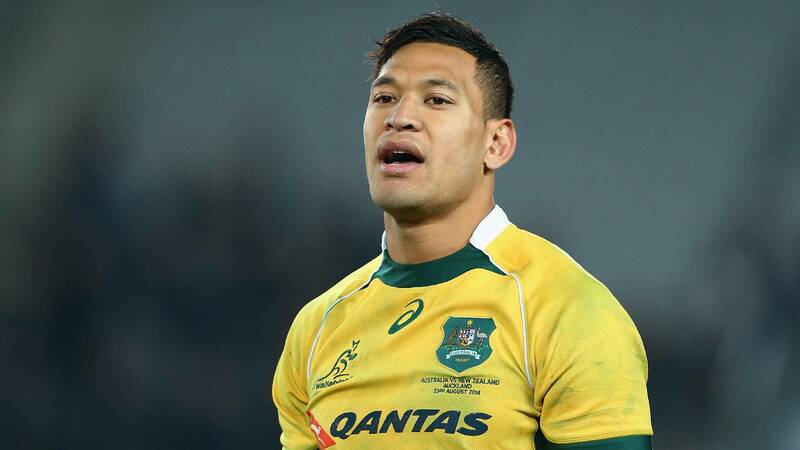 Rugby Australia said Folau could not share material that “condemns, vilifies or discriminates against people on the basis of their sexuality”. 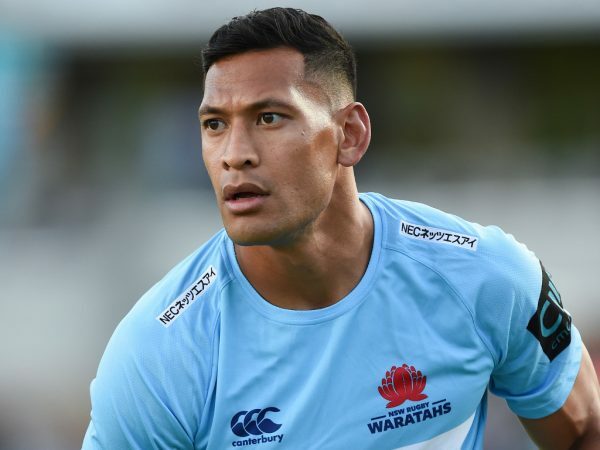 NSW Rugby has stood Folau down while the case continues – less than a week after he became Super Rugby’s record top try-scorer. 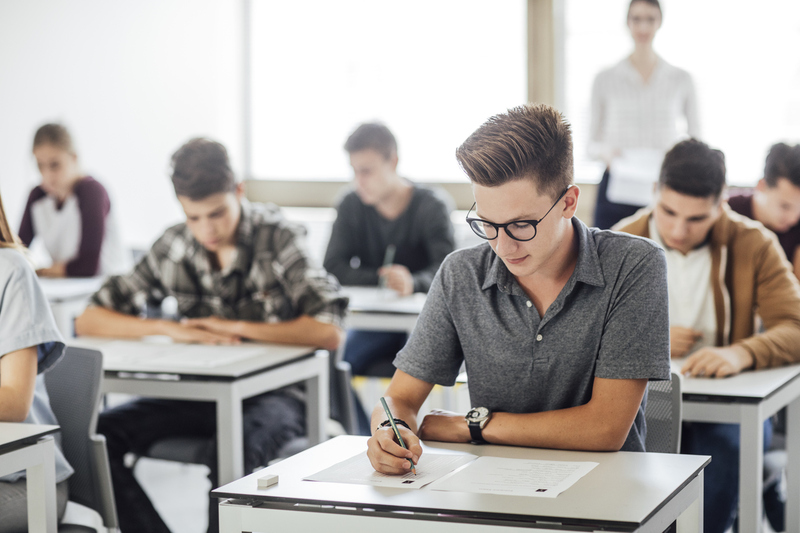 All states and territories apart from New South Wales and South Australia have legislation that protects employees and independent contractors against discrimination on the grounds of religion. Rugby Australia has stated that Folau is an “employee” of Rugby Australia and the NSW Waratahs. While Folau is not protected under state legislation because he is based in New South Wales, he will still have a legal defence if his contract is terminated, because religious discrimination is also prevented federally in the workplace under section 772 of the Fair Work Act. 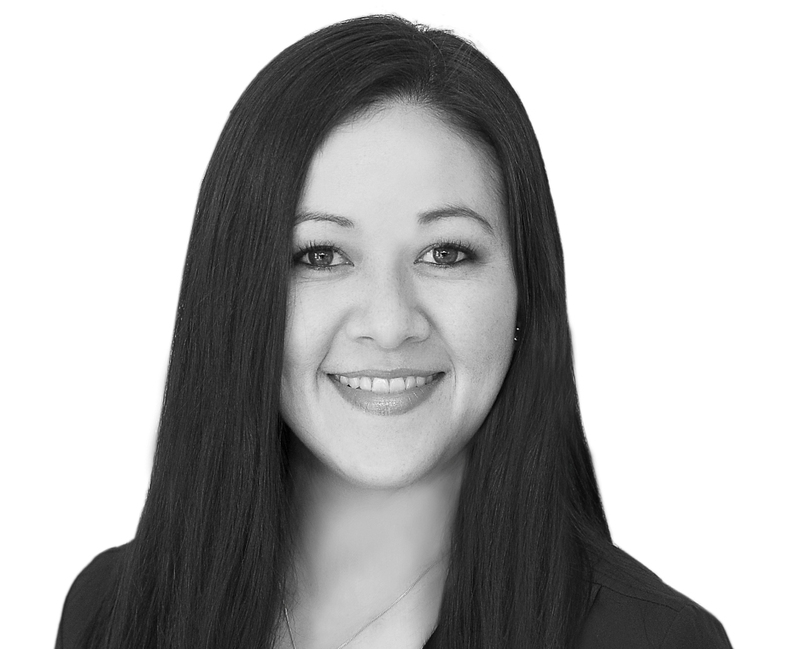 Mr Heffernan, Litigation Director at Discrimination Claims, said that Folau, as an employee, could argue he was sacked on the basis of his religion under the Fair Work Act. Vilification happens when a person, or group of people, incites hatred towards, serious contempt for, or severe ridicule of another person, or group of people, based on their sexual orientation, by a public act. That hatred can be spread publicly in a number of ways, including by verbal abuse, or in writing, or displayed on signage, or posted on the internet and social media. Vilification is against the law, and in some cases it can also be a criminal offence. Folau went close to vilification during his series of posts last year, and is again going close to breaking the law with his recent hateful tweets. Folau has plenty of supporters who are all crying “free speech”, and argue that Folau should be allowed to express his views, but Mr Heffernan said free speech does not come free of consequence. “Some people think that free speech gives people the right to say whatever they want, but that’s simply not the case here in Australia,” he said. “We have hate speech and vilification legislation, not to mention that free speech does not come free of consequence. 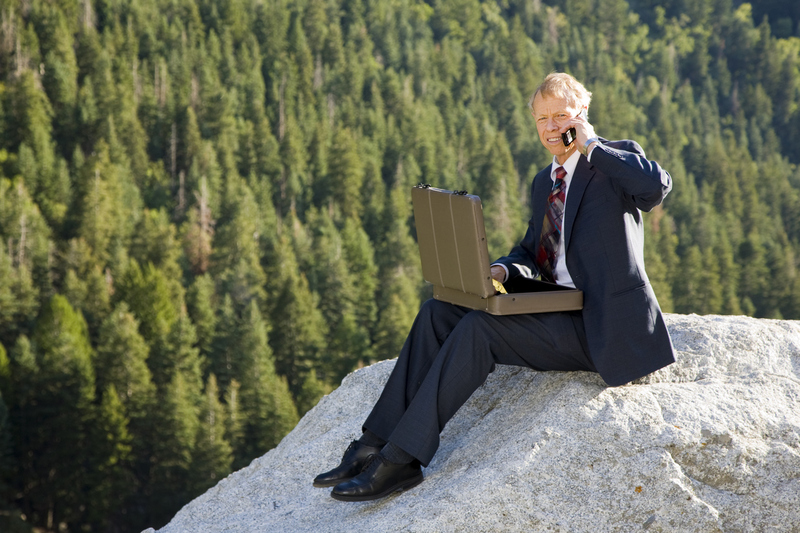 Most companies have clauses in their contracts, and policies that state if you bring the company into disrepute, that is grounds for dismissal, and that is the line that Rugby Australia lawyers are believed to be following. While Folau’s views are his religious beliefs – and he’s entitled to them, as are many other Australians – when those views are aired in a public forum to hundreds of thousands of people and you’re representing your employer in that forum, you would have to be naive to not expect repercussions, Mr Heffernan said. Especially if you’ve been warned by your employer about that very same issue in the past. “Israel Folau’s despicable comments on social media could fall under anti-vilification laws and could be considered hate speech,” Mr Heffernan said. “The internet is not consequence-free, and bleating “freedom of speech” will not protect Australians from the repercussions of their actions,” he added. Israel Folau says he will choose Jesus over his multi million dollar Rugby contracts. >> What is sexuality vilification? Rugby Australia’s code of conduct says players are expected to “treat everyone equally, fairly and with dignity regardless of gender or gender identity, sexual orientation, ethnicity, cultural or religious background, age or disability”. The organisation says any form of bullying, harassment or discrimination “has no place in rugby”. “Israel has failed to understand that the expectation of him as a Rugby Australia and NSW Waratahs employee is that he cannot share material on social media that condemns, vilifies or discriminates against people on the basis of their sexuality,” according to Mr Heffernan. A court is yet to consider whether comments such as those made by Folau could amount to vilification or discrimination, or whether he has breached his employer’s code of conduct, or whether he is free to post such comments protected from religious discrimination by the Fair Work Act. Israel Folau has been stood down by NSW Rugby. “The saddest part of this whole saga is that a very talented player has been poisoned by religion, and the hatred and bigotry that it is founded on,” Mr Heffernan said. “Although Israel sincerely believes that he is acting in good faith and is trying to save others, his religion doesn’t allow him to see that all he is doing is spreading hatred, and intolerance and ignorance, and sending a very dangerous message to young people struggling with their sexuality. “And through it all, he is risking his multi-million dollar career, and damaging the brand of Rugby Australia, all in the name of Jesus, who I would suggest would be appalled by the judgement, and the intolerance and the condemnation and the hatred that he is showing his fellow man. “It’s funny how we never hear Israel Folau quote a different part of the Bible – Matthew 7:1-3 for instance, which says – ‘Do not judge, lest you be judged.’ – but like so many Christians, Israel seems happy to cherry pick lines that suit his hate agenda,” Mr Heffernan said. “There are no winners here – Israel says he is happy to choose Jesus over Rugby – the only problem with that is that Jesus does not pay millions of dollars in salaries and sponsorship deals, so it will be interesting to see how Israel gets on when the money dries up, and all he is left with is his judgement, and hatred and condemnation of others – something, ironically, that Jesus himself railed against. 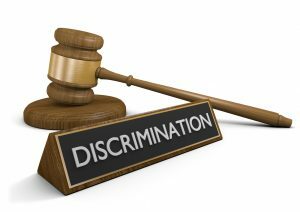 If you have been discriminated against on the basis of your sexual orientation or gender identity, then you may be entitled to compensation.